Home News Local Happy 100th birthday, Dorothy Carroll Henderson! Happy 100th birthday, Dorothy Carroll Henderson! Dorothy Carroll Henderson celebrated her 100th birthday on Sunday, Dec. 2 with family and friends at Woodland Center, Cullman. 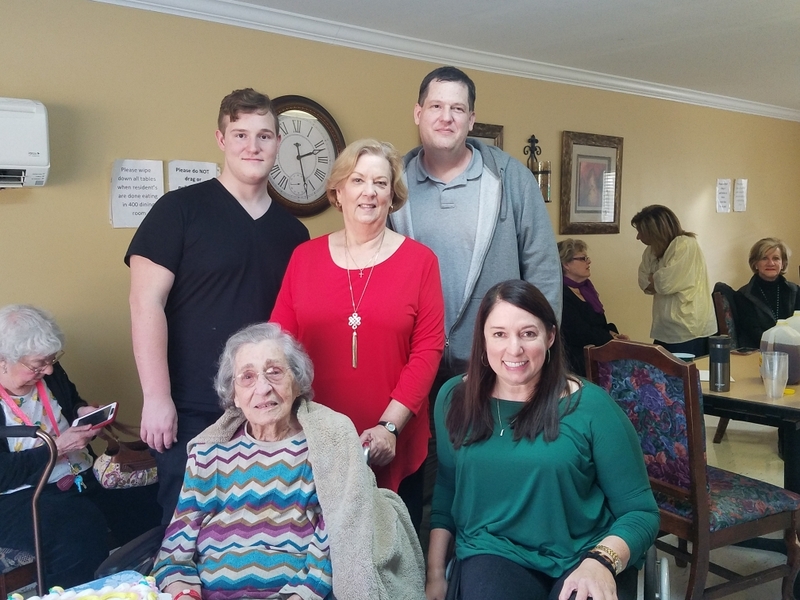 Pictured seated with Mrs. Henderson (left) is Sharon Bates, Daphne, AL, granddaughter; standing are: Galt Bates, Dallas, TX, great grandson; Penny Henderson Burkett, Cullman, daughter; John Bates, Columbia, SC, grandson.